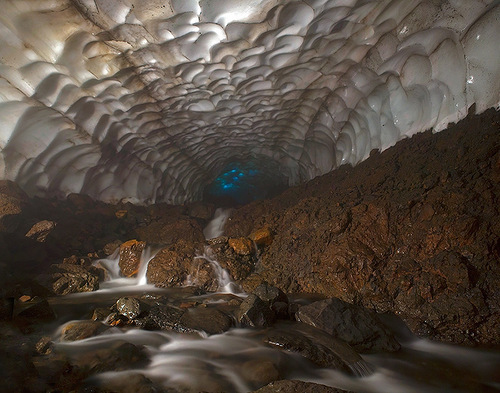 Beautiful Kamchatka Ice Cave by photographer Denis Budko. 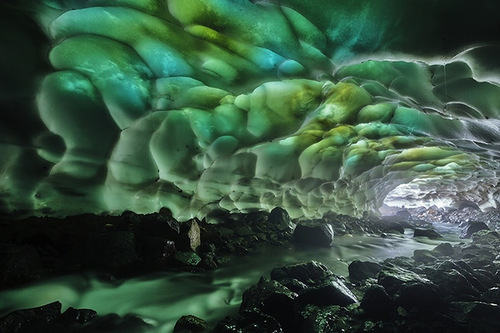 Russian nature photographer Denis Budko took beautiful photographs of colorful ice cave in Kamchatka, which is partly in the waters of the Kamchatka peninsula, Russian Far East. The water, wind, pressure and heated to hundreds of degrees lava has formed the amazing beauty of the cave, similar to ice fairy tale castle of The Snow Queen. 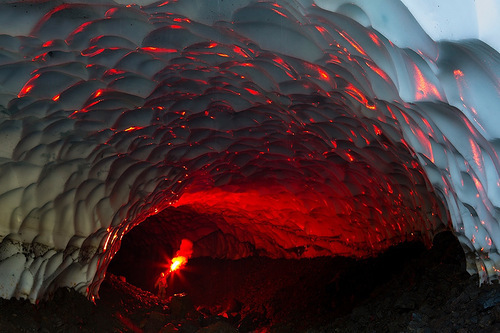 The heated by volcano water melted the ice, forming long tunnels with vaults so thin that through them even sunlight penetrates. The sight is as beautiful as it is amazing. 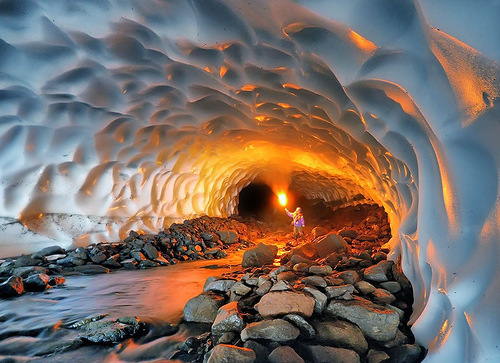 The almost kilometer long tunnel was formed by a hot water spring flowing beneath the glacial ice fields on the flanks of the nearby Mutnovsky volcano. 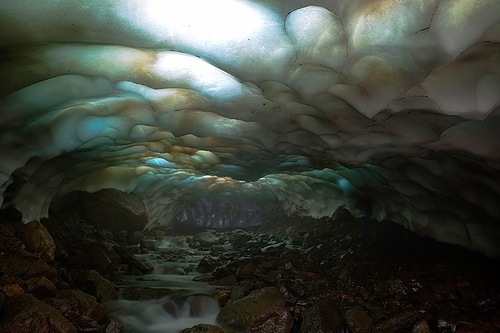 Because glaciers on Kamchatka volcanoes have been melting in recent years, the roof of this cave is now so thin that sunlight penetrates through it, eerily illuminating the icy structures within.